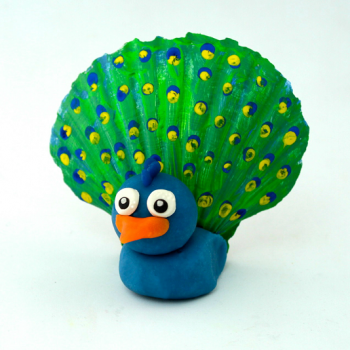 Use playdough and a seashell to create a colorful peacock. 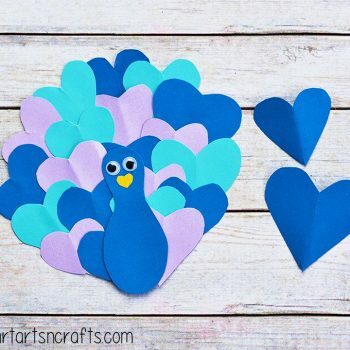 This easy craft is fun and couldn’t be cuter! 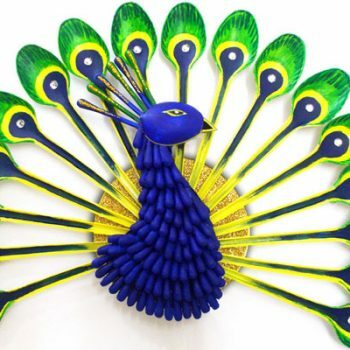 This stunning peacock is made from plastic spoons and cotton swabs. 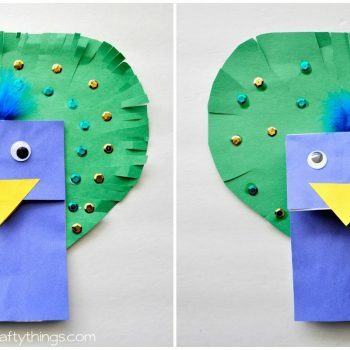 It’s easy to do and looks spectacular! 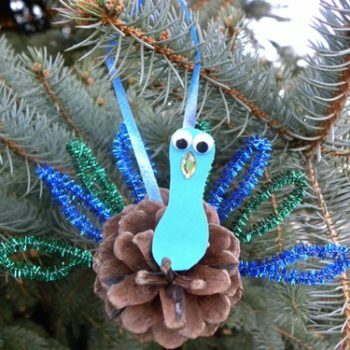 Create a whimsical peacock ornament from a pinecone. 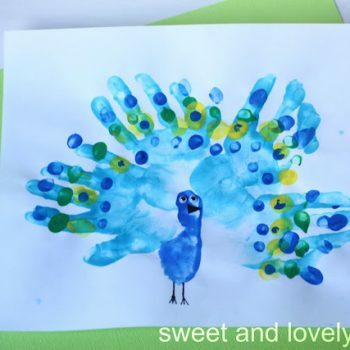 This easy craft is inexpensive and a lot of fun. 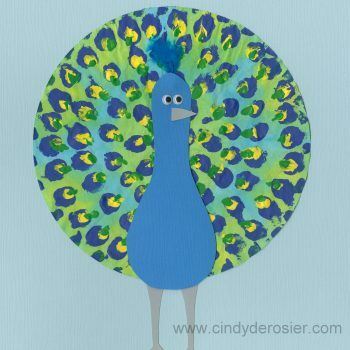 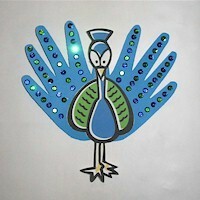 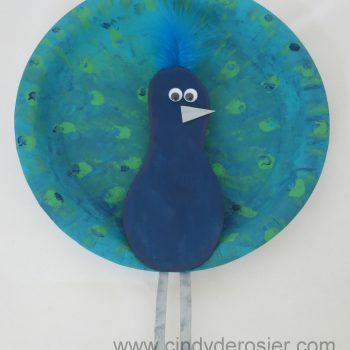 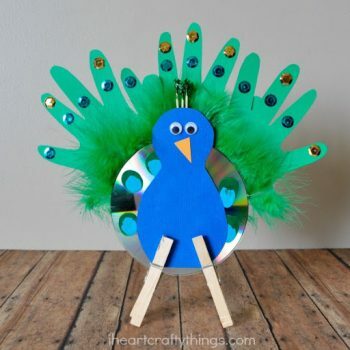 Turn a paper plate into a majestic peacock! 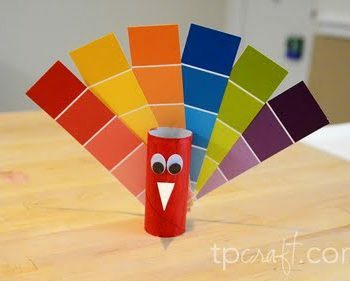 This simple project is inexpensive and a lot of fun. 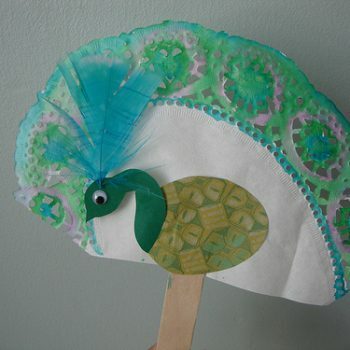 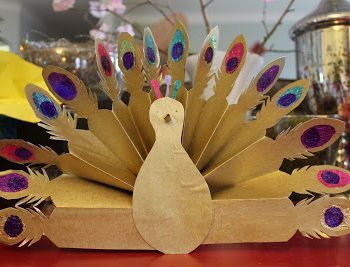 Create a stunning peacock featuring gorgeous coffee filter tail feathers. 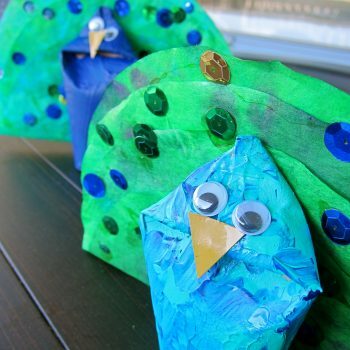 A fun project for kids of all ages.